City Councilmember Teresa Mosqueda has ordered the city auditor to investigate the practices of City Light, which has sent bills bloated because of inaccurate electricity-usage estimates and errors. In response to complaints by Seattle City Light customers about shockingly large bills, City Councilmember Teresa Mosqueda has ordered an audit of the electric utility’s billing and customer-service practices. City Auditor David Jones will investigate why some customers are receiving such massive bills and how City Light is helping those customers cope, the council member said in a news release Tuesday. She also wants Jones to provide recommendations on how the utility can improve its practices. Frustrated City Light customers have been pummeling Seattle leaders with questions about bills bloated because of inaccurate electricity-usage estimates and errors. “Ensuring that City Light has clear policies that customers and staff alike understand is important to delivering high-quality service,” Mosqueda said her release. In an email, Jones said his office will complete the review sometime in 2019. Typically, complex audits take 9 to 10 months, he said. Mosqueda announced the review during a time of transition for City Light, which has been hiking its rates and has been dogged by issues ranging from harassment and discrimination claims by employees to cost overruns on major projects. Mayor Jenny Durkan last month nominated Debra Smith to take over as the utility’s new CEO and general manager. An industry veteran from Oregon, Smith must be confirmed by the council in a process scheduled to begin Thursday in Mosqueda’s energy committee. When a City Light customer receives an unexpectedly large bill, it’s often because the utility has based previous bills on inaccurately low estimates, rather than actual meter reads, and is playing catch-up. The utility estimates electricity usage when its meter readers are busy, when gates are locked, when dogs are in yards and when other circumstances prevent meter readers from carrying out their work. 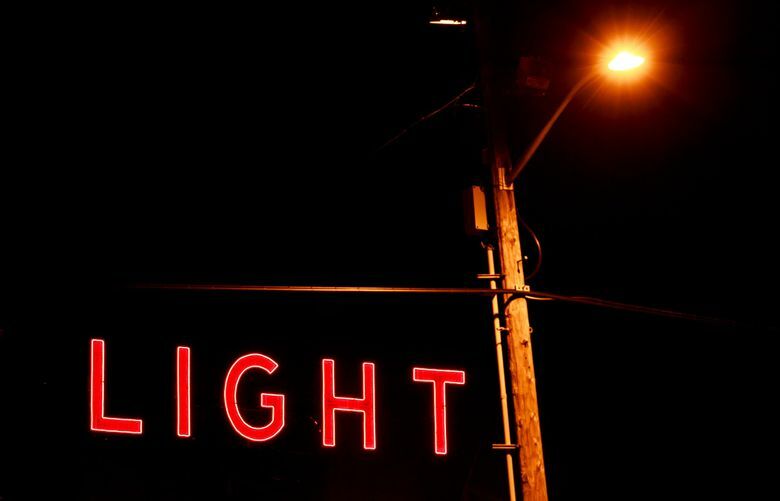 City Light estimated more than usual late last year and early this year because it didn’t hire enough temporary staff to keep up with Seattle’s population boom during that time, spokesman Scott Thomsen said in an email Tuesday. The utility also has, at times, cited mass move-ins by University of Washington students, snowy weather, rate increases and problems with a new computer system as reasons for bloated bills. Initially, the $85 million system didn’t identify and flag unusually large bills. Then City Light realized the system was sometimes rejecting actual meter reads and replacing them with inaccurate estimates. Some customers accustomed to paying bills of a few hundreds dollars have been slammed with bills totaling thousands of dollars and then struggled to get answers from the utility. Even former City Light experts have had trouble. For example, retired City Light advisers Bob Klug and Linda Lockwood said they were “completely ignored for two months” earlier this year after contacting the utility about a $2,002.04 bill for their Laurelhurst home that was more than three times as large as their largest bill in 2017. They eventually were credited $1,241.98 after writing the mayor. Such complaints have come, Mosqueda noted, as the City Light has been installing new “advanced meters,” which send automatic reads to the utility’s computer system. Klug and Lockwood received their erroneous bill after the technician who installed their advanced meter didn’t input the reading from their old meter, which confused City Light’s billing system. Mosqueda said she wants the audit to address how City Light deals with catch-up bills, resolves customer complaints and appeals, accommodates blindsided customers and reimburses customers who have been overcharged. She said the review should concentrate on management practices and procedures rather than blaming City Light workers. In a statement Tuesday, Durkan said her administration has been working to address City Light’s challenges.